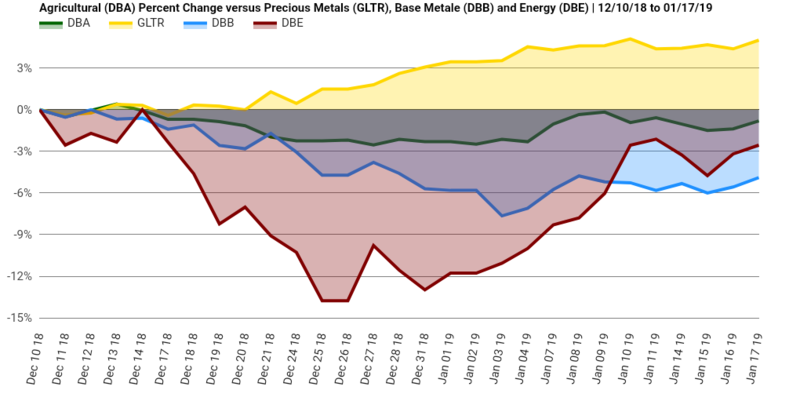 Right now precious metals are taking off compared to other commodities. This may be a safe haven play in the short term, however it can also be the start to an indicator of inflationary pressures. This may put pressure on stocks, however be careful of short term reversion. Look to buy out of the money puts on SPY.